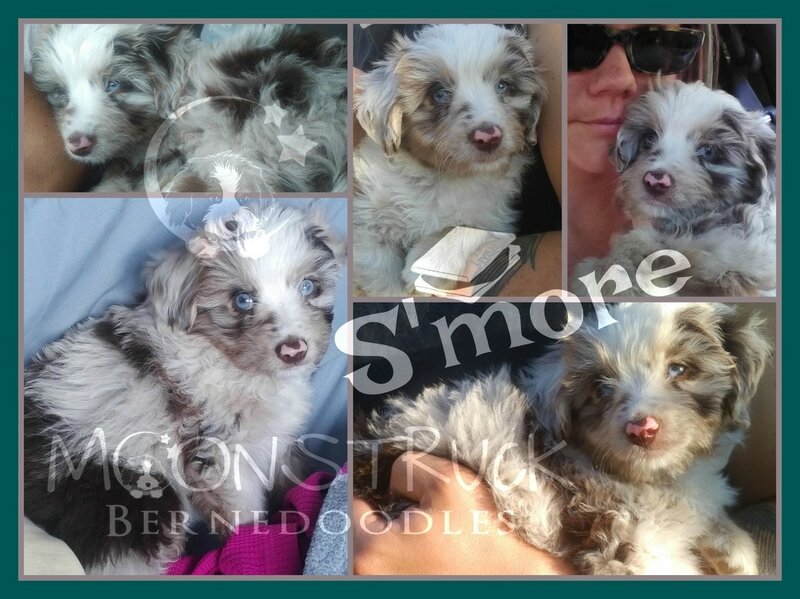 Smore is a very mini Aussidoodle (Mini Australian Shepherd X Toy Poodle). Born May 2017, we are excited to watch this boy grow into an amazing Moonstruck stud. S'more is incredibly easy going, bomb proof, sensible and FRIENDLY! Everyone is a new friend and every place is a new adventure to explore! S'more will be instrumental in our development of Mini Aussie Mountain Doodles coming later in 2018! Watch our FB page for S'more pics and updates about S'more!